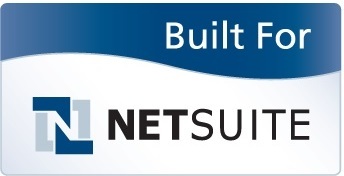 Systems Logic has partnered with NetSuite in order to extend the NetSuite ERP system which contains the best-of-breed distribution functionality delivered over the web – No matter if your presently using NetSuite as your ERP solution, or, if you’re looking towards newly implementing NetSuite as your ERP in parallel to a warehouse management system. Systems Logic has produced an optimized warehouse management solution, designed specifically for NetSuite ERP users in order to bring your distribution and warehouse operations in-line with your sales, purchasing and accounting functionality. Systems Logic leverages our seamless integration into NetSuite ERP to extend your savings into warehouse operations by eliminating hours of manual data entry. Wireless Warehouse In A Box has been built to provide you with complete control and automation over your supply chain process and allows you to gather immediate savings. Wireless Warehouse In A Box WMS combines barcode technology and robust internet-based architecture, delivery a powerful, scalable and flexible real-time warehouse management system – boosting your productivity, reduction in costs, fulfillment time and overall customer satisfaction. Wireless Warehouse In A Box integrates seamlessly and in real-time with the NetSuite ERP business system through a standard interface. Successful customers in the following verticals – Third Party Logistics Providers (3PL), Manufacturing, and Distribution. Industries including Cold Storage, Food & Beverage, Publishing, Automotive, Healthcare, etc.